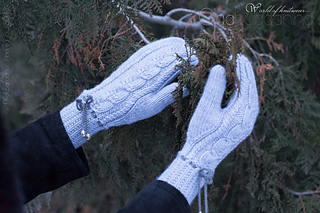 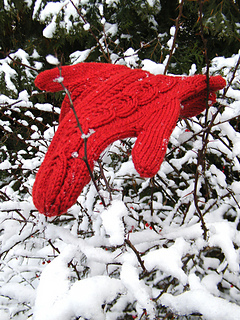 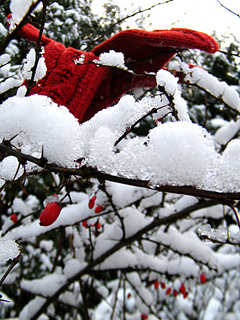 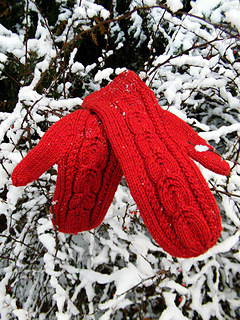 Berberis are wintery, wool mitts with cables and crochet string. 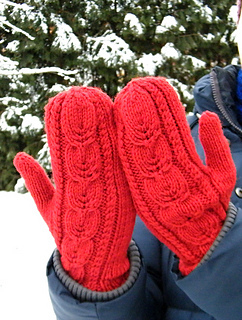 Size: one size: fits on 6.5” wrist, 8” length from wrist (plus 3” cuffs) but it can be easily modified. 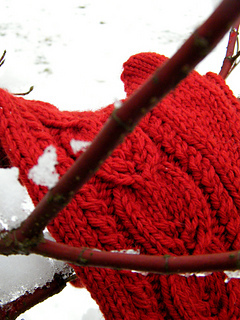 Notions: tapestry needle, waste yarn, 2 knitting markers, crochet hook (5mm).